Alaina Hampton, a former campaign worker for House Speaker Michael Madigan, alleges that she was retaliated against after she accused her supervisor of sexual harassment. CHICAGO (WLS) -- A federal judge heard arguments Wednesday morning in a lawsuit alleging retaliation filed by a former campaign worker for Illinois House Speaker Michael Madigan. Alaina Hampton -- who has alleged sexual harassment by her supervisor in Madigan's campaign office, Kevin Quinn -- filed a lawsuit claiming that her career was sabotaged because she was not offered another job with the Democratic Party after she reported the harassment. The judge allowed the lawsuit to move forward despite a motion by the defendants' attorney which claimed that Hampton was never an employee of the party. The defendants in Hampton's lawsuit include the campaign organization of Mike Madigan and the Democratic Party of Illinois, which Madigan runs. However, Hampton's attorney disclosed that there are discussions of a settlement. Part of what Quinn claims is that Hampton never worked for the Democratic Party of Illinois, which Madigan runs. This release comes the same day as Madigan’s attorneys are in court to get Hampton’s federal lawsuit dismissed making the same claim. "There is a lot at stake here. There is perhaps a lot more at stake than meets the eye in normal litigation," said Shelly Kulwin, Hampton's attorney. "But I'm all for resolving this case and I think my client is, as well. The goal here is not to go on a crusade for the next two years in litigation. The goal here is to get her specific injury addressed and re-dressed." Hampton accused Quinn of severe and pervasive sexual harassment, including repeated text messages where he asked her out and, in one case, where he told her she was "smoking hot." Hampton repeatedly told Quinn she wanted to keep the relationship strictly professional. Madigan fired Quinn the day before Hampton first went public with her allegations, which was three months after she wrote a letter to Madigan about the harassment. On Wednesday, Quinn released a 14-page memo telling his side of the story, which he titled "THE TRUTH." In an email, Quinn said: "For the past 4 months I have remained silent regarding false and misleading statements that have been made public about me. Today, I will tell my side of the story, THE TRUTH." Quinn is the brother of Chicago Ald. Marty Quinn (13th Ward). Quinn is not the only Madigan staffer to be recent targets of sexual harassment allegations, and Republicans have pounced on the issue saying that he should step down. Last week, Madigan's Chief of Staff Tim Mapes was forced to resign after long-time Madigan employee, Sherri Garret, alleged harassment and bullying by Mapes. Illinois House Speaker Michael Madigan's chief of staff was ordered to resign Wednesday after allegations of sexual harassment. In February, Madigan has also cut ties with a lobbyist and top campaign worker for what he calls "inappropriate behavior" during the 2016 election. 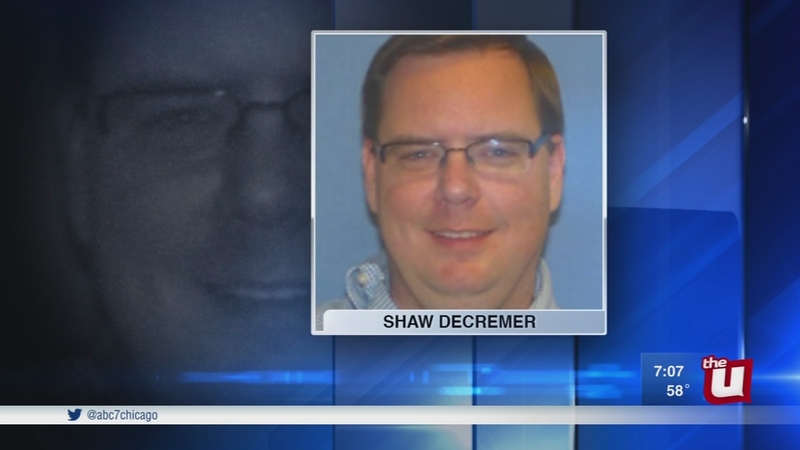 Shaw Decremer, 43, was a top lieutenant for Madigan and ran petition operations for the Democratic Party, according to a source. Another shakeup by House Speaker Mike Madigan who has cut ties with a top campaign worker for undisclosed reasons. Chicago Mayor Rahm Emanuel has came to Madigan's defense. "You try to solve the problem, not the politics, but actually deal with the whole issue of sexual politics in an office, in a workplace and any other situation. It is not to think about it as one person, any more than to think about it as one industry," Emanuel said.